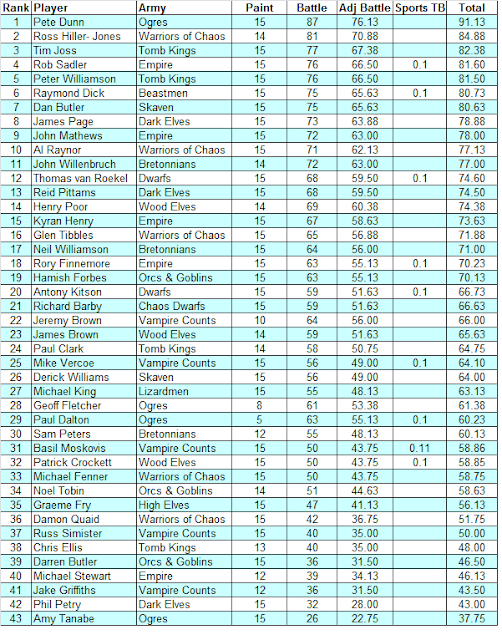 Here are the results for the Equinox Fantasy tournament played over the weekend. The final results haven't been sent out to players yet so I've reformatted a cut and paste from the City Guard forum. This didn't include the armies so I have filled them in where I have been able. All participants scored maximum sports (a fantastic result). Tiebreakers are first Painting points and then most Sporting Opponent votes. Seven different armies in the Top 10. Only one Ogre in the Top 20! Its really good to see a few of the "internets worst armies" making it into the top 10, and doing well overall. 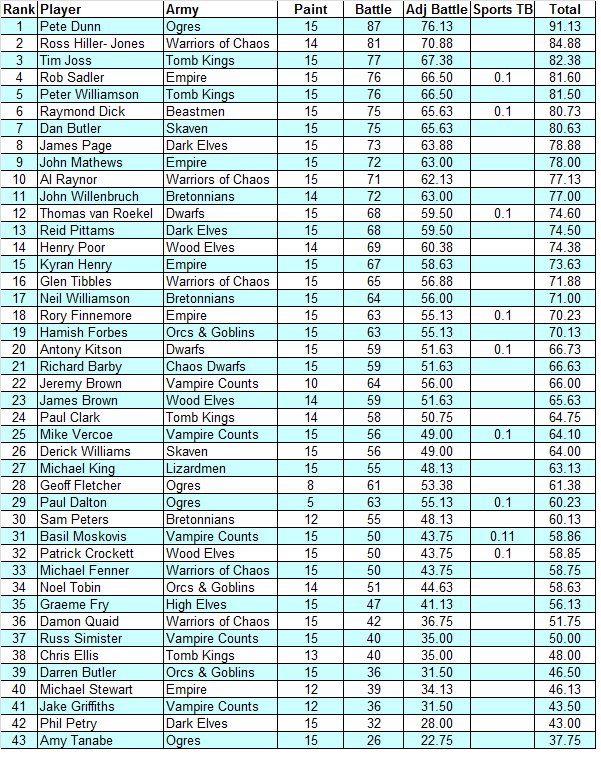 Wood elves even put on a strong performance all weekend hanging in the top tables right to the end. I would have thought Orcs n goobos would have been up there, but didnt spot anyone bringing a really solid/refined list (imo). Maybe Gork (or possibly Mork) was not smiling on them. Are you guys going to post the army lists?